Low Power - 0.35mA Operation, 0.5µA Shutdown. The TC1321 is a serially accessible 10-bit voltage output digital-to-analog converter (DAC). The DAC produces an output voltage that ranges from ground to an externally supplied reference voltage. It operates from a single power supply that can range from 2.7V to 5.5V, making it ideal for a wide range of applications. Built into the part is a power-on reset function that ensures that the device starts at a known condition. 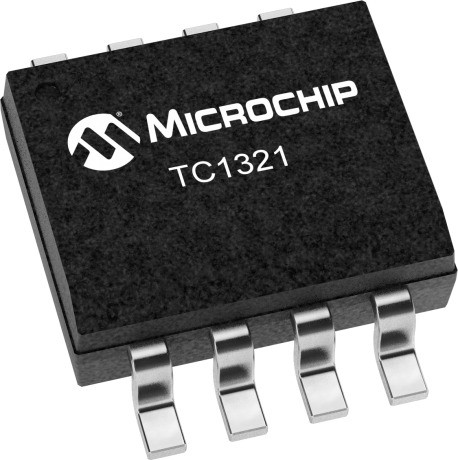 Communication with the TC1321 is accomplished via a simple 2-wire SMBus/I2C™ compatible serial port with the TC1321 acting as a slave only device. The host can enable the SHDN bit in the CONFIG register to activate the low-power standby mode.